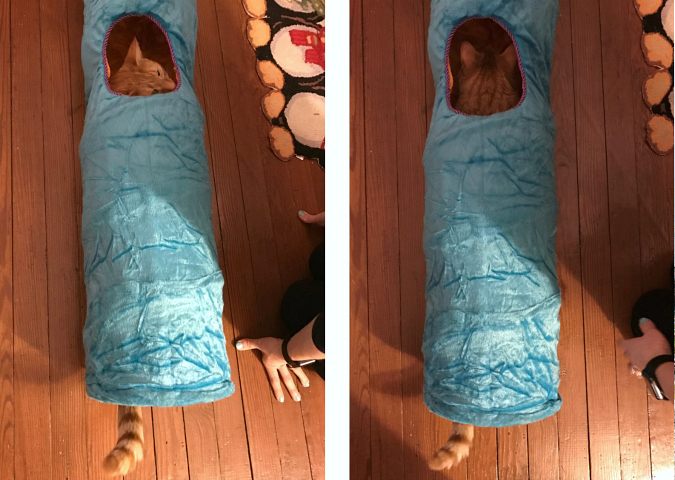 when we were at ryan's parents' house over the holidays, we saw that they bought their cats a really cool tunnel toy. as soon as we saw it, we knew leko had to have one too. 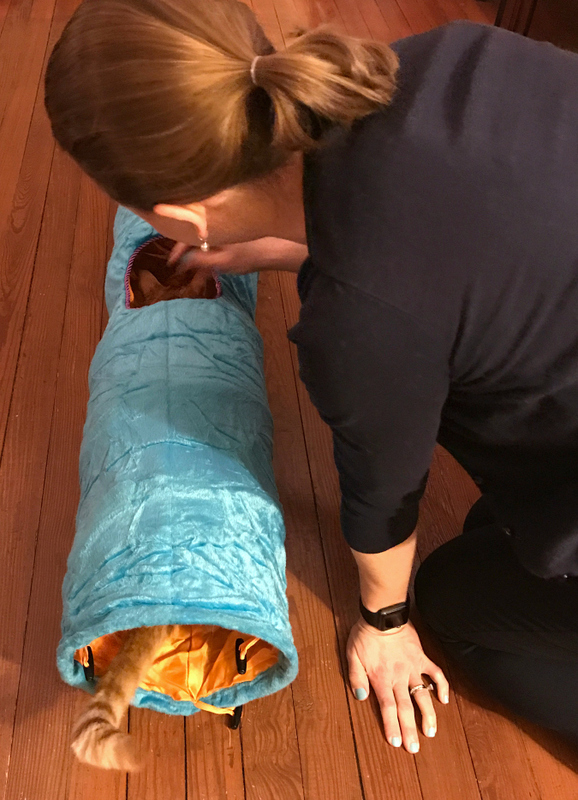 for leko's adoption anniversary last week, we bought him the same tunnel. he has been enjoying playing in it. i keep saying that i want one my size because it looks like so much fun! ryan snapped a few photos on his phone when we first gave leko the tunnel. so much fun! Who is having more fun you or Leko? Did you get an apple watch?